N600 on de Havilland Canada Downsview ramp. N600 on DHC photo shoot before delivery. N600 showing water tanks installation. • N600 (1) State of New York, Department of Conservation. Delivered on 14th April 1958. Regd 29-Apr-1958. Based Albany, NY. Canx 25-Nov-1959. Accident. Street Mountain, Essex County, NY. 20-Sep-1959. Caught in rugged terrain and unable to climb out of or turn inside the valley in which it crashed, near the summit of Street Mountain. A fire ensued. One passenger killed in the impact and the pilot and three others received various degrees of injury. 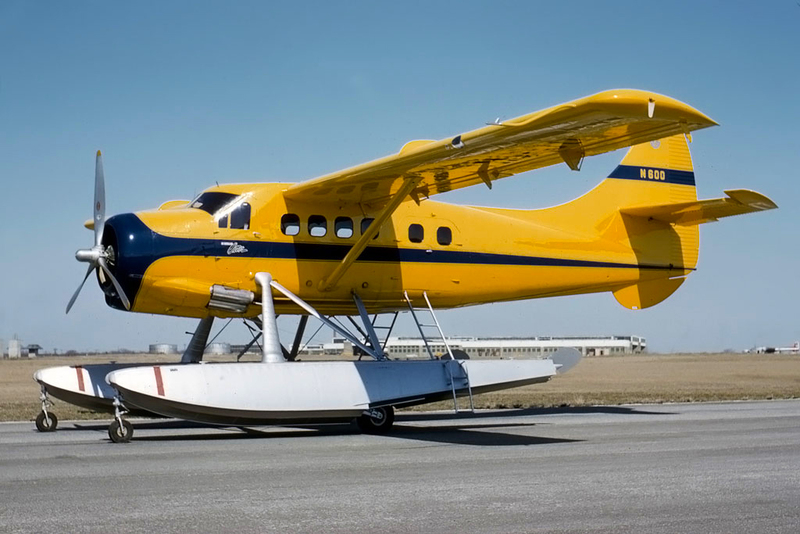 Otter 256 was delivered to the State of New York, Department of Conservation on 14th April 1958 on amphibious floats, registered N600. It was based at Albany in upstate New York. It was also fitted with two removable water tanks for forest fire control, primarily in the Adirondack mountain region of New York State. A removable module to provide a vertical camera was mounted in the jettison hatch, aerial photography for mapping and survey purposes being another of the Otter's duties. 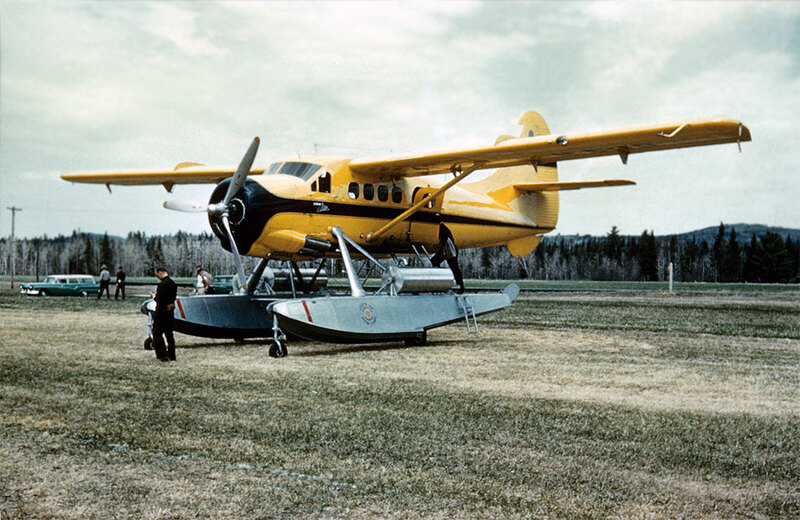 Routinely, N600 performed personnel and cargo transport between major airports and remote lakes and ponds, deploying survey crews, rescue teams, workmen and supplies to forest ranger stations, participating in lost aircraft search and rescue missions and medical evacuation flights. To quote from Anthony J. Hill of Troy, New York who was involved with the Otter: “Sport fishing is an important part of the tourism industry of the State. Stocking of remote ponds and lakes with various strains of game fish, mostly trout, posed quite a problem until the Otter came along. Now the delicate hatchery-raised trout would spend less time being transported to the natural environment. Two tanks, secured cargo-fashion within the cabin, were oxygenated to be life support for the wriggling travellers. The pilot and a local navigator (usually the hatchery manager or someone familiar with the area of operation) and a bailer in the cabin comprised the normal crew. The bailer would be seated in the cabin except for the time it took to load a funnel shaped hopper mounted in the jettison hatch with the prescribed amount of fish and water for the next pond to be stocked. Then, securely seated during the approach to the pond, alert to the pilot's command at the lowest, slowest point over the pond, he would release the load by pulling a stopper, while the pilot executed a go- around and headed to the next pond”. “This simple method worked well until 20th September 1959. On that good VFR day, two extra crew members were aboard to observe and learn the method. Flying low as usual, having just completed a drop at Moose Pond in the high peak area of Essex County, the pilot was directed to follow a stream to lead to Wallface Pond, the next drop site. The terrain is rugged and at first the pilot thought nothing of having to pull up to clear a rise ahead. But then, realizing that the ground was rising faster than the Otter could climb, the pilot tried with manoeuvring and power to turn away from the gorge in which he found himself. Obviously, the navigator had chosen the wrong route. The Otter could not be turned away and crashed near the summit of Street Mountain”. “A fire ensued. One bailer, not seated with a safety belt on, was killed on impact. The four others, injured in various degrees, escaped the inferno. Two of them walked to an unattended ranger's cabin and summoned help on the land line. That any escaped alive is probably attributable to the slow speed at which the Otter was able to fly before contact and the progressive destruction of the float installation absorbing the blow. A lesson learned the hard way. 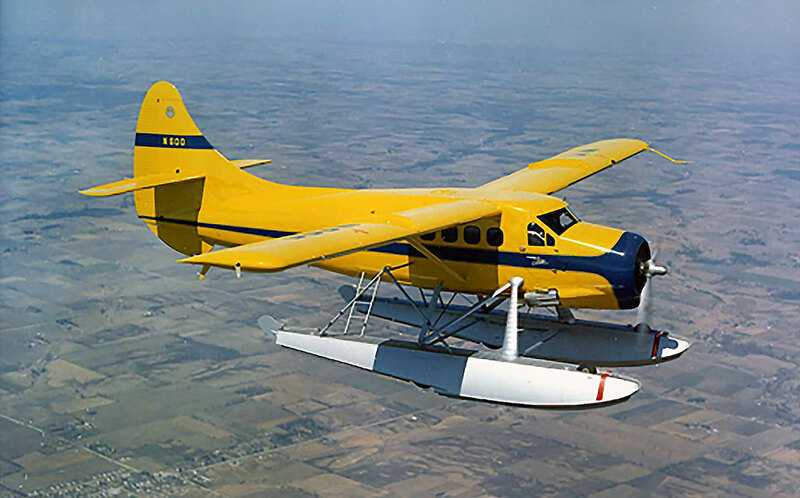 But, convinced that the Otter was the tool for the job, the State took delivery of an identical Otter, number 320, in February 1960, assigned the same registration N600”.